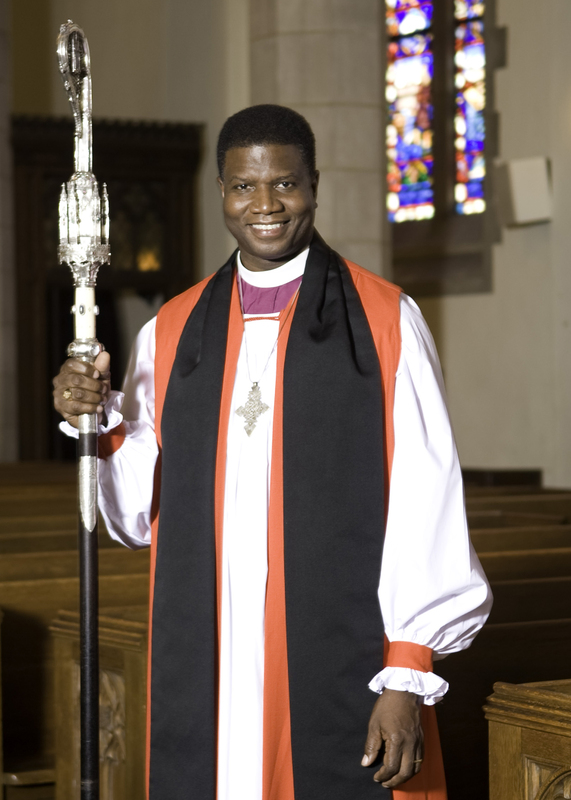 Current EVEntS – Drunk Episcopal Suffragan Bishop Heather Cook Kills Cyclist Tom Palermo | It's the Women, Not the Men! Where do I begin? This is a story, that is not only about a totally dysfunctional radical, second-wave feminist, but another story about the “liberated” branch of the Episcopal Church and its inability to identify, acknowledge, hold accountable, or seriously address, evil behavior among its “female” clergy. When “Bishop” Heather Elizabeth Cook, 58, ran over and killed, husband and father, Tom Palermo, 41, last Saturday afternoon, not only was she in a drunken stupor, it was not her first encounter with the law. Unbeknownst to Mr. Palermo, he would prove to be the latest Christian man to become a victim of another, out-of-control, radical, second-wave feminist. Tom Palermo was raised in Riverton, NJ and attended St. Joseph’s Preparatory School in Philadelphia. When he and his wife Rachel were married, they settled in Towson, Maryland. They would eventually have two children, a little 6-year-old girl and a little 4-year-old boy. 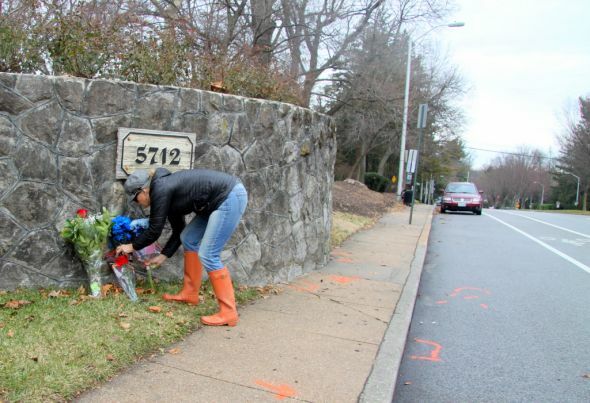 Tom loved cycling and was often seen, on the weekends, peddling along Roland Avenue’s bike lane. His love of cycling went beyond his personal enjoyment. Although, by trade, Tom was a software engineer and web designer, he also designed, and constructed, custom bicycle frames. Obviously, Tom was an experienced cyclist, and he was pleased, when he set out on Saturday afternoon, that the weather was perfect for riding – clear and sunny. Sadly, Tom was unaware that this ride would be his last, as somewhere in Towson, a drunken woman was sloshing down another drink, before she hit the road. At 2:34 pm, although total strangers, Heather Cook and Tom Palermo’s lives would become fused, forever. As Ms. Cook drove down Rowland Avenue that afternoon, she was so intoxicated that she never hit the brakes before smashing into Mr. Palermo, who was riding in the marked bike lane. 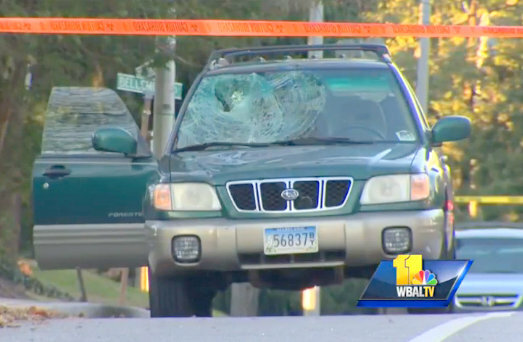 The force from the impact would cause Tom Palermo’s body to caved-in Cook’s windshield. It also knocked off, and crushed, both wheels from Tom’s bike. Incredibly, after the crash, rather than stop to help, Cook drove away! That’s correct – she drove away, leaving the fatally injured Palermo crushed on the curb. Luckily, Moncure Lyon, 65, was witness to the tragedy and when Ms. Cook took-off without stopping, Lyon climbed on his bike in hot pursuit of a license plate number. Mr. Lyon chased Ms. Cook down, and confronted her at a stop light, more than 100 yards away, where he asked her if she was okay. After responding in the affirmative, Cook drove away again. She would finally reconsider her departure and return to the scene of the crime – 20 minutes later. What would cause a Bishop of the Episcopal Church to drive away, from a horrendous accident that she had caused, TWICE? Granted, there was the fact that she was drunk, but shouldn’t her life as a “priest” have caused her to stop and help the man she’d injured anyway? Maybe. But in this case the powerful ideology of radical feminism overrode the tenets of this woman’s Christian “faith” when she realized that this drunken crash would more than likely end her influential and illustrious “career.” You see, this was not the first time that Ms. Cook had been caught driving drunk. In September of 2010, she was arrested in Caroline County, Maryland. 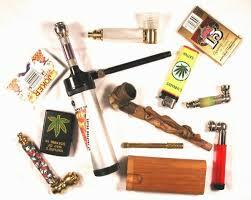 Not only was she charged with drunk driving, but for possession of drugs and drug paraphernalia, as well. And this was not a pre-priesthood incident. Cook had been an ordained “priest” of the Episcopal Church for nearly 22 years when she was arrested! 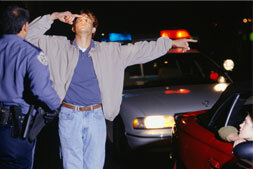 During the 2010 encounter with the law, Ms. Cook was so drunk that the cop who arrested her said he was afraid she would injure herself if he insisted on giving her the sobriety test. The legal limit for drunkenness in Maryland is .08. Ms. Cook blew a .27! And, not only was Cook rip-roaring drunk, she had two baggies of marijuana in her car plus an open bottle of wine, an open bottle of Irish Whisky and a metal smoking device. Nice role model! Ms. Cook was convicted of drunk driving and fined $600. The drug charges were dropped, with a warning that she had better stay clean and sober. This was not to be. Ms. Cook was born in 1956, Syracuse, NY . She was the third of six children. When she was 18 months old, her family moved to Maryland where her father became the Episcopal rector of Old St. Paul’s Church in Baltimore. Heather Cook graduated from St. Paul’s School for Girls in Brooklandville, Maryland in 1974. That same year, she matriculated to Queen’s University in Ontario, Canada and later to the University of Exeter in England. After her illustrious education, and like thousands of baby boomer hippies of that period, she bummed around after graduation. Cook become an au pair in Spain, lived in a kibbutz in Israel, became a grape-picker in France and vegetable-harvester in England. Upon returning to Baltimore, she became an editor with a local publishing house. It was there that she decided marriage was not forthcoming and became a confirmed radical, feminist, in search of a “career.” Although unsure of the priesthood, based on her own experiences as a child, she earned a Master of Divinity degree from the General Theological Seminary in New York City in 1987. 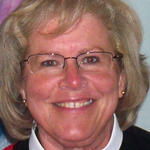 In 1988, Ms. Cook was ordained an Episcopal priest at the age of 32. 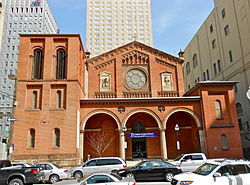 Her ordination would be presided over by the woman who would become the first female Bishop in the Episcopal Church of the United States, Katharine Jefferts Schori. Ms. Cook’s father was also in attendance. During Ms. Cook’s 27 year “career” her assignments took her to VA, NY, PA, and back to NY before finally returning to Maryland. 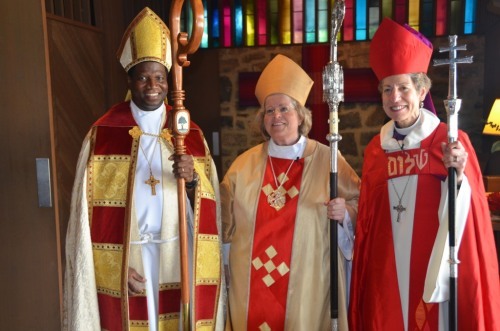 Ms. Cook was consecrated as the first female “Bishop” of the Episcopal Diocese of Maryland in May of 2014. Tom Palermo, on the other hand, was neither a drunk, nor a radical, second-wave feminist. He was a traditional Christian father and husband. Due to his reputation as a top-notched, custom bicycle frame fabricator, he was well-known and well-liked, by the local cycling community. As a result, cyclists from far and wide have come together, on multiple occasions, since Mr. Palermo’s death, to memorialize his life of giving. And as for Ms. Cook? She has gone into hiding, allowing her boss, Bishop Eugene Taylor Sutton, to make apologies in her stead. Bishop Sutton issued the following statement soon after the tragedy, “Together with the Diocese of Maryland, I express my deep sorrow over the death of the cyclist and offer my condolences to the victim’s family. Please pray for Mr. Palermo, his family and Bishop Cook during this most difficult time.” I think he could have left Cook out of this initial statement! Bishop Sutton also told clergy members in a Sunday e-mail that Cook did in fact leave the scene of the accident but returned later “to take responsibility for her actions.” He went on to say that Ms. Cook was put on administrative leave “because the nature of the accident could result in criminal charges.” Oh, Really? That is, unless you understand that she has always been a radical, second-wave feminist, first and a “priest”, second. A radical, second-wave feminist, who only began her unorthodox journey towards female priesthood, once she was fully brainwashed by feminism to revile traditional, organized religion, as “sexist”, “oppressive”, “patriarchal” and “domineering” towards women. Once Cook was fully indoctrinated with radical, second-wave feminism ideology she then substituted the ideology of radical feminism for the tenets of her Christian faith and has spent the remainder of her life “bucking the traditional religious system.” A religious system founded by God, advanced by Jesus, perpetuated by Christian men and recorded for the world as Biblical teachings. Biblical teachings in which God the Father never intended women to be leaders of men, but rather helpmates, and in which Jesus never intended women to be apostle/priests of His church but rather supportive disciples. 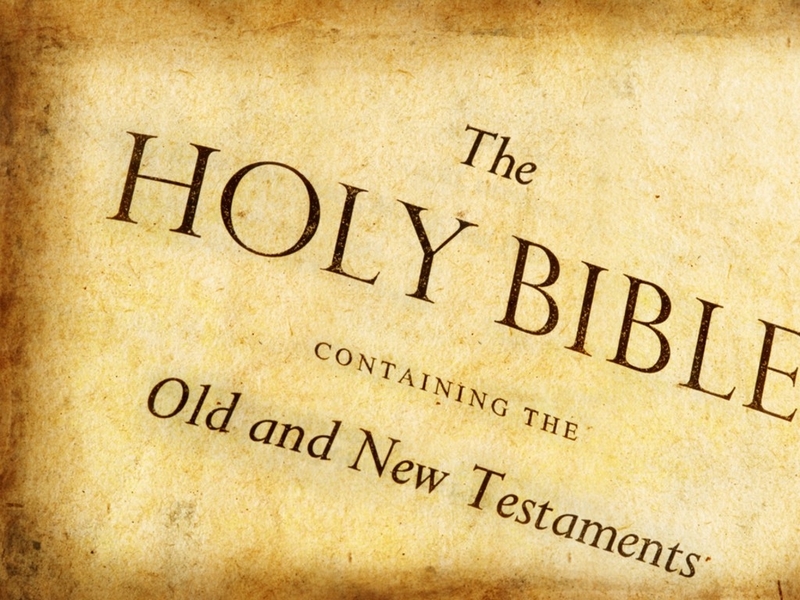 The very same, successful, centuries old, loving patriarchal Christian religious system which allowed for the production of moral, honorable, duty-bound Christian men who also developed Western Civilization’s illustrious military, stellar businesses, sound family lives, principled politicians, life-long marriages, limited governments and just judiciary, all founded on the 10 Commandments. As a female priest, Cook is simply an unorthodox example of the arrogant extremes to which feminists are willing to go to undermine Christian men, and by association, their institutions, even the one established by Jesus Christ Himself. Unfortunately for Tom Palermo, fifty-eight year old radical, second-wave feminist Heather Elizabeth Cook has spent her entire, baby boomer life, “breaking the rules”. What has our world come to? The god of this age is quite busy lately…. You are correct on all fronts. She is a living example of the twisted distortions of fact, inflicted on organized religion by radical, second-wave feminists. None of it rings true and I think this woman knows this in her heart and can no longer cope with knowledge that her life is a lie. Did you know that another female Episcopalian priest was arrested Saturday in New York City for driving drunken and erratically through the Holland Tunnel? Doesn’t surprise me one bit. These female “priests” are living a lie and that would drive most people to drink! I’m honest enough to admit that I don’t know what happened. There could have been any number of things that distracted her. Some of them would suggest criminal responsibility for the accident, and some wouldn’t. Are you honest enough to admit that you also don’t know what happened, or will you continue to argue that you somehow know more about what happened that the law enforcement officers who are investigating the accident, and who still haven’t charged Bishop Cook? I’m not arguing that she should be excused for leaving the scene, even if she later returned. I don’t think there is any excuse for that. And I’m not arguing that she should have been selected as Bishop, since I don’t know what investigation was made concerning the 2010 arrest and the process of her recovery. But I AM arguing that your assumption that she was “in a drunken stupor” at the time of this accident is unsupported by any evidence of which I’m aware, and that it seems highly unlikely, given the fact that she wasn’t arrested after her return to the scene of the accident. Ah sheesh! Isn’t this the most abysmal story? So much for our moral and ethical LEADERSHIP. Crazy, I know, but some of us actually rely on our leadership to set the standard, to lead the way, and to give us something to aspire too. I think what really ticks me off about this kind of feminism is the idea that we have to compromise our standards, lower our expectations, in order to make room for women. If that is not the most insulting, anti-female idea ever, I don’t know what is. Are women really so incompetent, immoral, and unethical that we have to lower our standards to bring more of us into the public sphere? I rather disagree with that premise, but even if it were true, well then I’d prefer we not have any women at all. It is rather critical for us as a nation, a people, a Christian body, to have some ideals and standards. It is not nearly as important for us to have women in these positions. I couldnt agree more. This began when the colleges, in particular, the med schools, began to lower or eliminate standards and courses (science and math primarily) in order for women to get into college in 1960s. The college my son started with even notes that decision on their website history page. How they thought that could ever thought that would improve the profession amazes me? Totally PC and short-sighted. I never felt trouble at all, to be honest due to personal experience, being cared or examined by female physicians. What do you think? I don’t know the case in your country, ma’am, honestly. It’s usually embarrassing for men to have female doctors and visa versa. Especially for urologists, proctologists and gynocologists. So, it’s really a very personal decision that’s best left up to the individual themselves. What is the source for your statement that Bishop Cook was drunk at the time of this most recent accident? She was not arrested at the scene upon her return, and has not yet been criminally charged. If she was obviously impaired when she returned to the scene, she would almost certainly have been arrested on the spot. Not if she was smoking pot. What is the source for your allegation that she was smoking pot at the time of this accident? There has been no such statement from the police. You said that she “was in a drunken stupor” at the time of the recent tragic accident. I am aware of NOTHING at this time that supports that statement, and if she had been in a “stupor,” whether from marijuana or alcohol, she would almost certainly have been arrested at the scene. I am not defending Bishop Cook, since I don’t think there is ever a good excuse for leaving the scene of a serious accident, but there has been zero reporting in any news sources that she was intoxicated at the time of the accident. My good man. It was a sunny and dry day. Tragedy occured on a straight, wide familiar road with a designated, lined bike path, in broad daylight. What do you think happened?